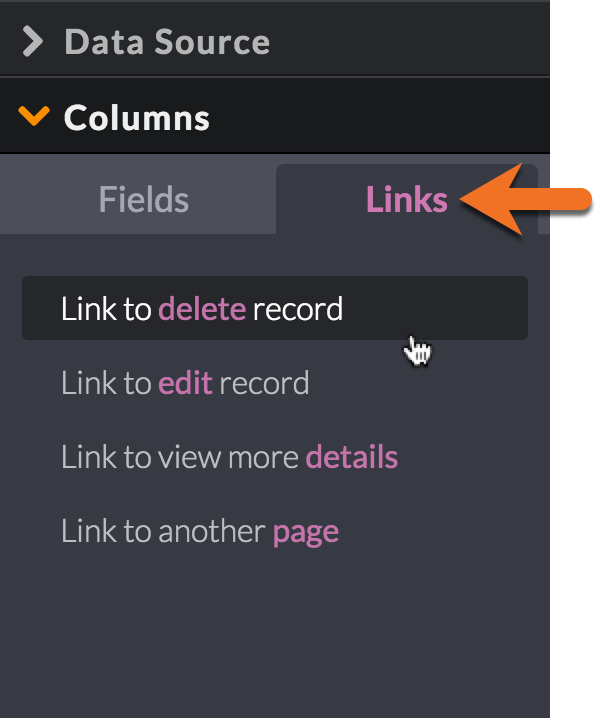 You can delete records from your database by adding delete links to your live application or by deleting directly from the Knack builder. When building your app’s pages, you can allow users to delete records from any view that displays records. Currently, only individual records can be deleted from the interface one at a time. When editing a table view, select "Links" from the “Columns” tab. This will allow you to add an additional column to your table with a link to delete the individual record. Similar to with a table view, select "Links" from the “Search Results” tab, where you will be able to add a delete link. This will add a new column to your search results with a link to delete an individual record. 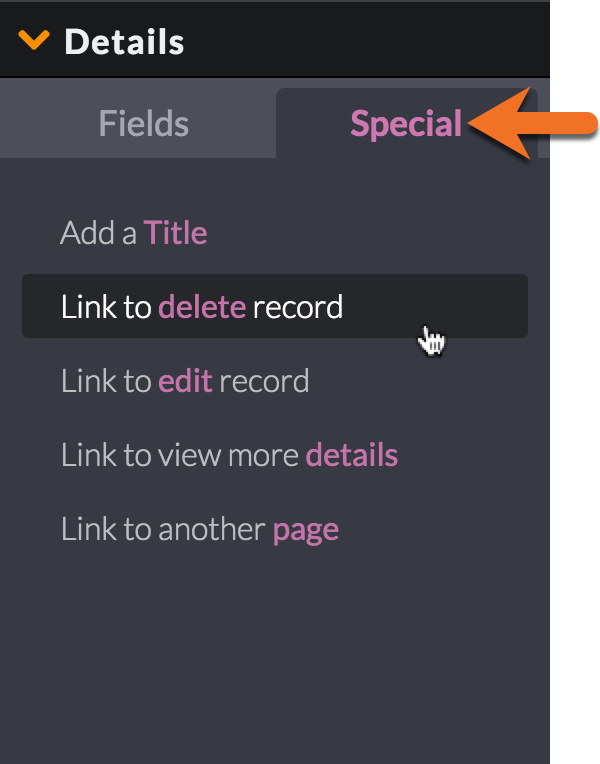 When editing a details view, you can add a "Link to delete record" from the “Special” tab. 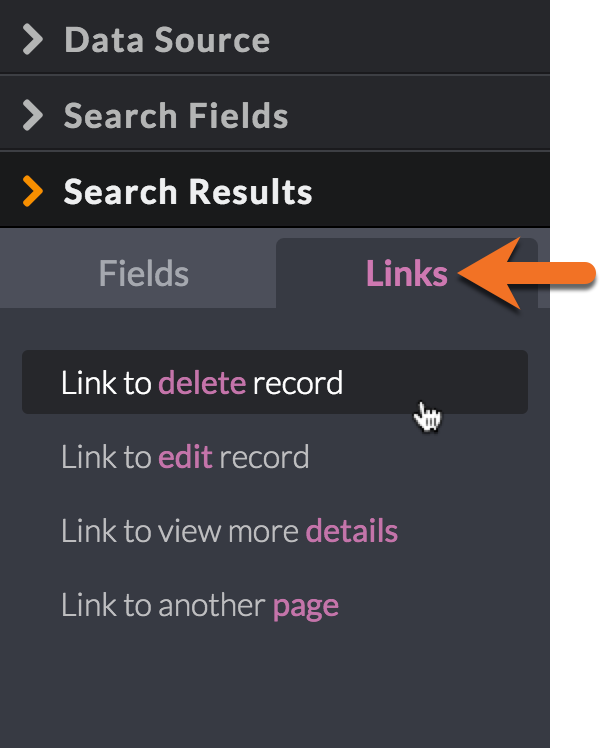 This will add a link to delete that record, which can be organized in the layout along with other selected fields. 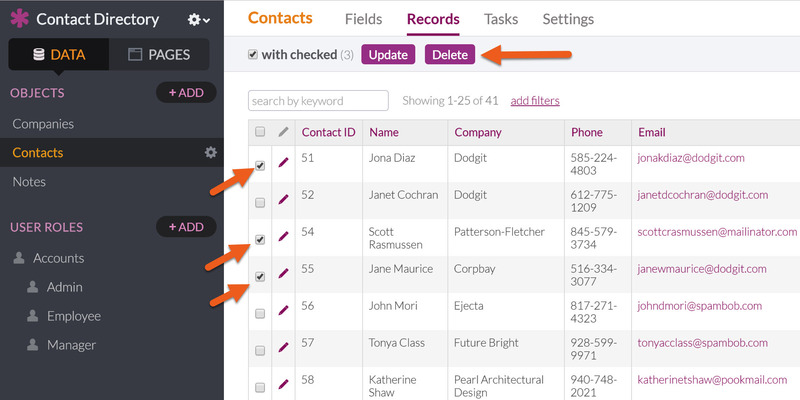 The list, map, and calendar views are all similar when adding links to delete records. From the "List Details" section when editing these views, select the “Special” tab. There you will be given the option to add a delete link to your view. From the Knack builder, you can choose to "Clear all records" from an object, or to clear only a selection of records, by using the checkboxes or using the batch delete option. From the data section of the Knack builder, select an object. Then click the Records tab in the top menu to view that object’s individual records. You will have to confirm this before deleting all records. Note This will delete all records for this object. 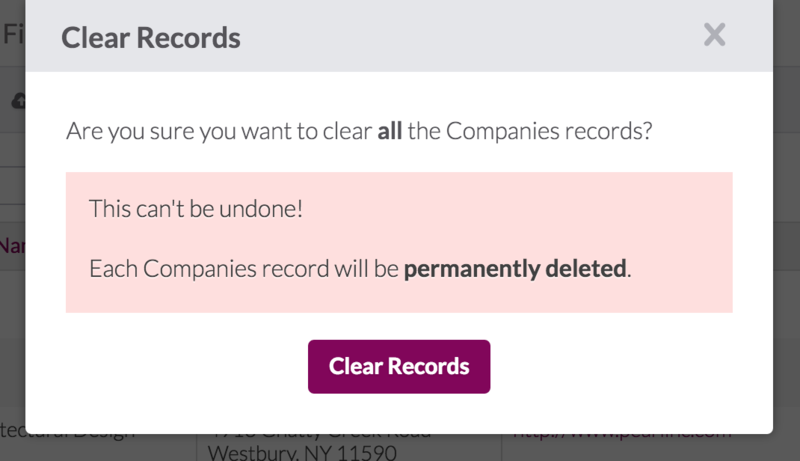 Once "Clear Records" is clicked, this cannot be undone. 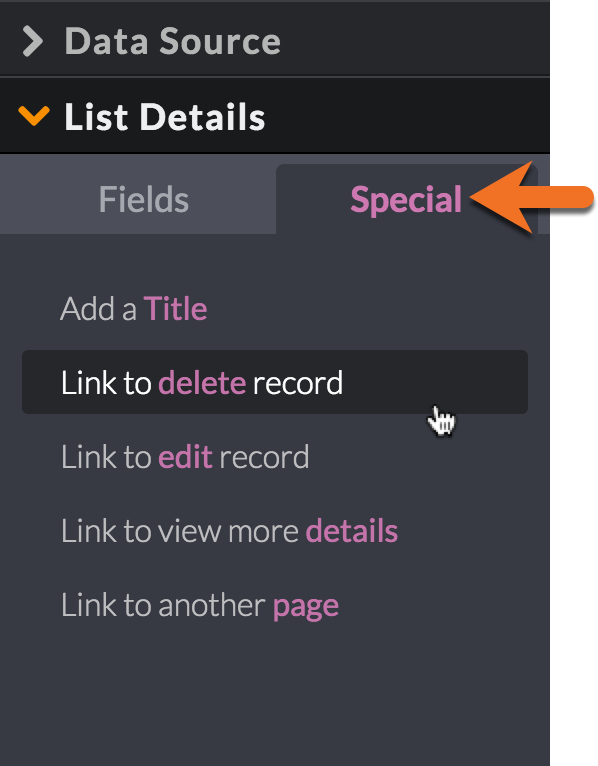 When viewing an object’s records in the builder, you can also delete a selection of records by using the checkboxes next to the individual records. Once you have selected your records, use the Delete button at the bottom of the records table. This will delete all records that you have selected.